While you can take great landscape photos with nothing but your camera, the right gear makes it easier and gives you more options. I’m a huge fan of landscape photography so I’ve put a lot of thought into gear. Everything on this list is something I’ve personally used. Let’s dig in and have a look at the stuff that will take your landscapes to the next level. 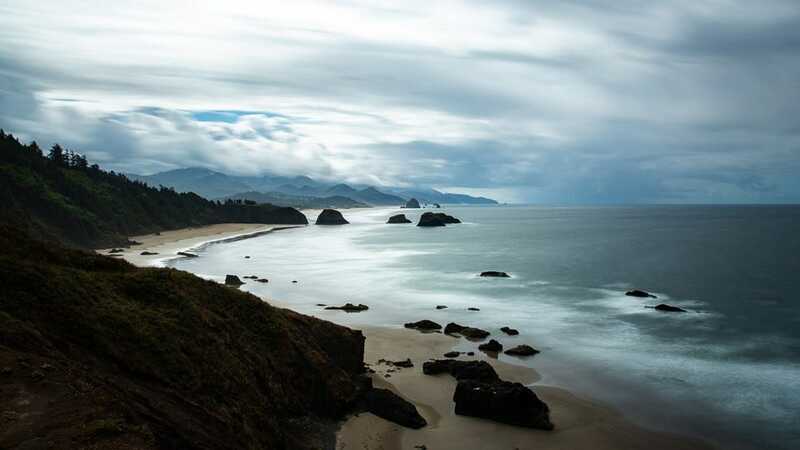 The most essential bit of landscape photography gear you can buy is a solid tripod; it opens up a range of possibilities and lets you use narrower apertures and slower shutter speeds—both key things for landscape photos. They also make it easier to take photos in the low light of dawn and dusk. We have a full round-up of the best tripods, but the best one for most people is the Vanguard Alta Pro 263AB. I bought one for around $200 but it’s now down to $110—that is a ridiculous steal. The Alta Pro folds up small enough to carry (25.75”) while extending to a maximum height of 65”. At 4.4lbs, it’s not super light—it’s made from aluminium—but it’s not too heavy either. It can support 15.4lbs so way more than enough for any reasonable DSLR setup. 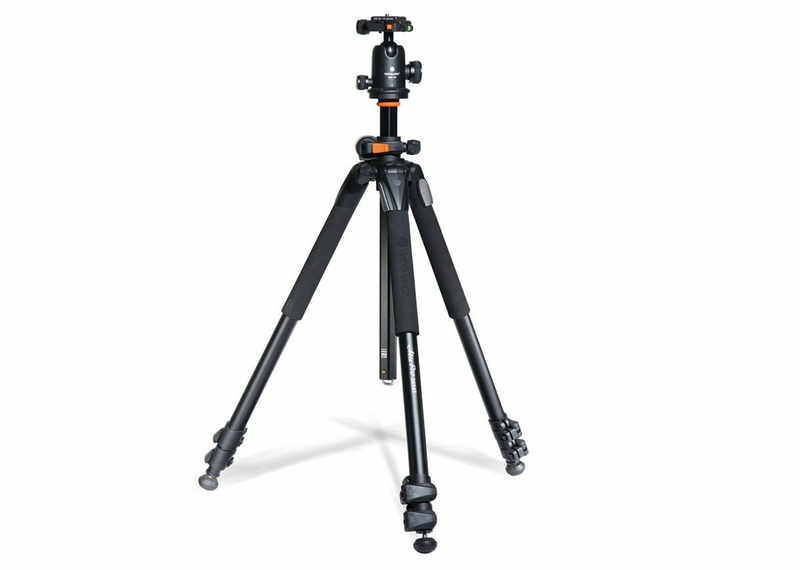 The multi-angle center column and highly adjustable legs mean you can set the tripod up to get whatever shot you want. For your $110, you also get a decent ball tripod head. It’s never let me down. 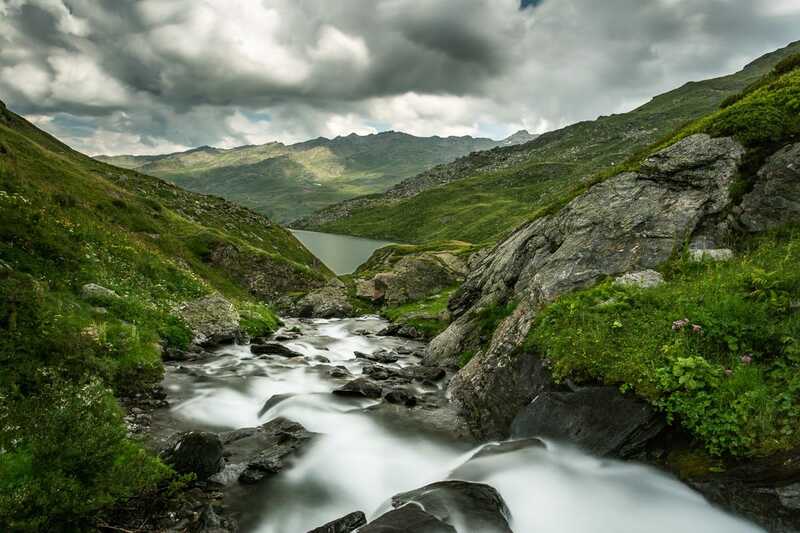 Landscape photography tends to involve a fair bit of hiking and climbing. Nothing more than 10 miles from a carpark is over photographed. To lug in your camera gear, you need a decent bag. It has to be comfortable, able to carry all your stuff, and keep it protected. For this sort of adventuring, my go-to bag is the f-stop Ajna. 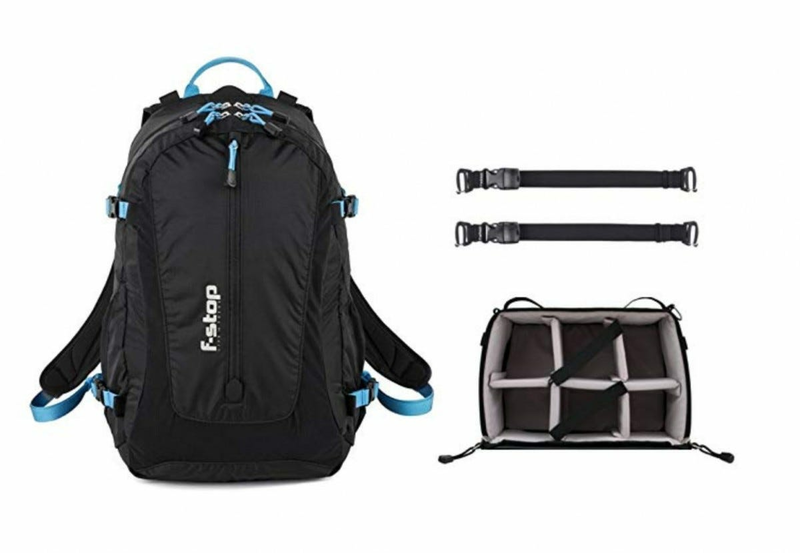 It’s been discontinued (and is too big for most people) but, if I was to replace it, I’d grab this f-stop Guru bundle ($270). The Guru is a 25L hiking pack with proper hip straps so your camera’s weight won’t rest on your shoulders. It’s big enough to carry all your camera gear, plus a jacket, some food, and a bottle of water. The Gatekeeper straps let you mount your camera to the outside of the bag. The internal camera unit keeps your camera stable and surrounded by foam. Put simply, it’s the complete package. 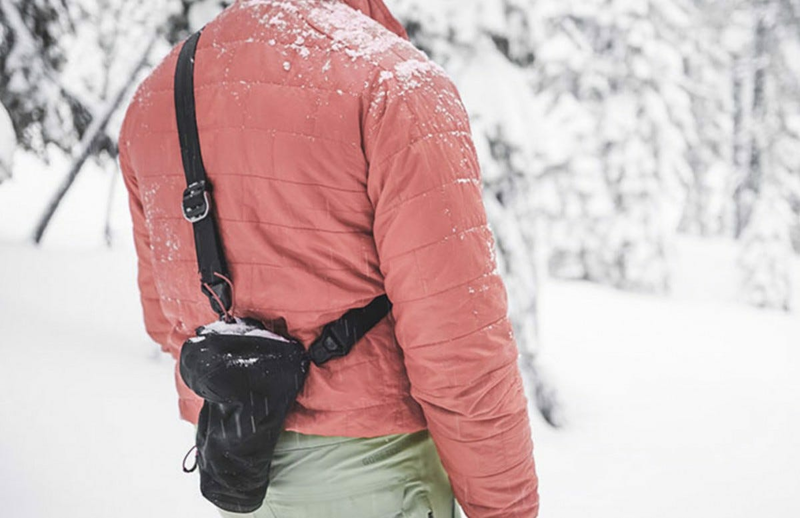 And, if you don’t plan on doing much hiking, check out our roundup of the best camera bags for every other situation. To get the shots of silky smooth water, like the one above, at any time other than twilight, you need a way to slow down your shutter speed. The solution is a neutral density filter: basically, a dark piece of glass that sits in front of your lens and cuts the light levels reaching your camera. ND filters are normally rated in stops. A three stop filter stops three stops of light, a six-stop filter stops six, and so on. The darkest filters that are commonly available are ten stop filters. If you’re starting out, I’d recommend getting one of these as it will have the most dramatic effect on the kind of photos you can take. While an ND filter from any reputable brand will work, I’m a fan of Hoya filters. They screw on the end of your lens so you don’t need a complicated filter holder and they strike a good balance between price and quality. Different lenses require different filter sizes so check your lens before buying. Hoyas filters are all available in every common size like 72mm, 77mm, and 82mm. Like neutral density filters, polarizing filters let you capture a kind of image you couldn’t otherwise. Instead of blocking out all light, polarizing filters just block out polarized light: in other words, they block glare and reflections from shiny surfaces appearing in your images. You can see the effect in the image above. And again, as with ND filters, I’m a fan of Hoya filters. 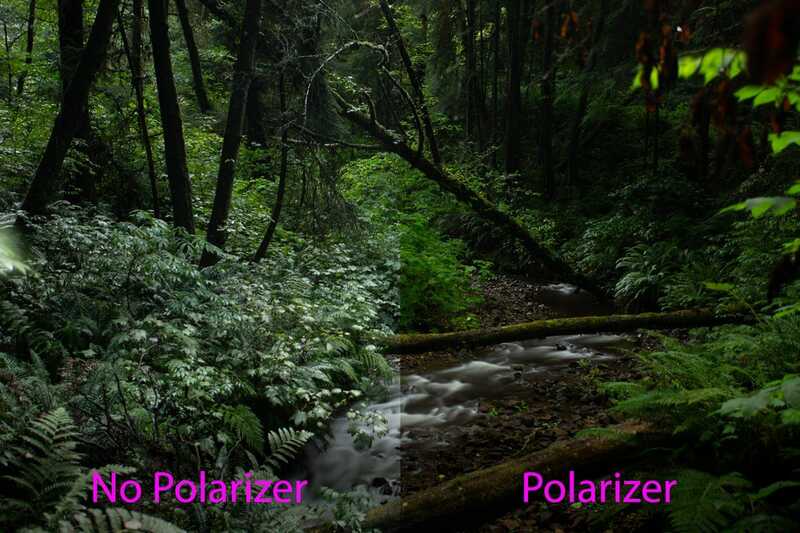 They have a polarizer available in whatever size you need like 72mm, 77mm, and 82mm. You can set your camera up, then stand back and shoot photos. Great for when it’s wet or cold. You can use shutter speeds slower than 30 seconds. You can take photos without shaking your camera at all. There are lots of shutter releases out there but I like this fairly generic wireless model from Pixel. At $32, it’s pretty cheap for camera gear. 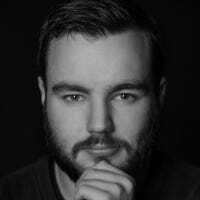 It works well and has never given me any hassle. There are models for both Canon, Nikon, and most other brands so make sure you get the right one. If you’re out shooting in the wet wilds, it’s a good idea to protect your camera. Most cameras can take a few splashes but in torrential rain a camera cover goes along way. 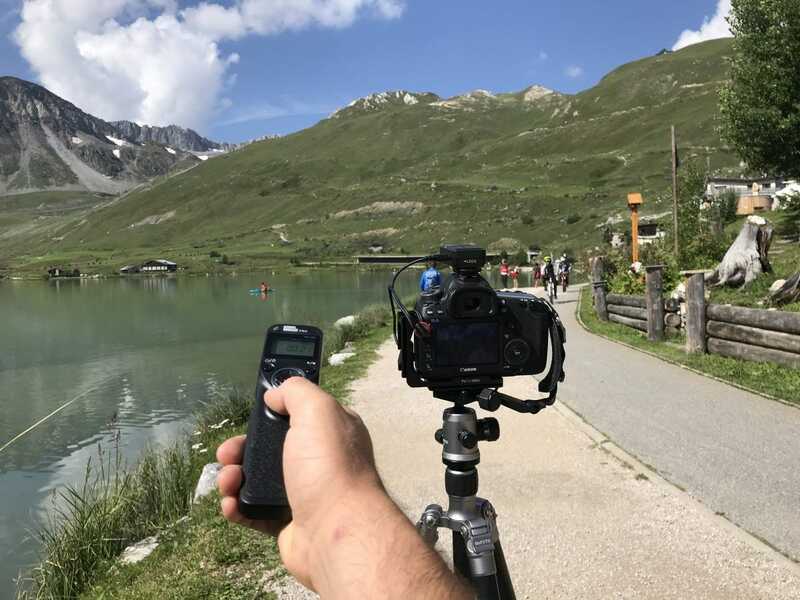 We’re big fans of Peak Design’s products here at Review Geek so it’s no surprise their Shell camera cover is our top pick. The form fitting design stays on while you shoot without getting in the way. For most setups, the medium Shell ($45) is the one to go with. Taking landscape photos is, in my opinion, one of the best ways to spend a day. Most of the time, everything above is my complete kit list—plus my camera. Right now, the internet’s full of wild discounts, ranging from an $11 Anker wireless Qi charger to a $20 pair of camera-sunglasses. But it turns out that today’s best deals are on smarthome devices and Apple products. You’ve finally dedicated your artistic mind to the convenient world of iPad art. But as it turns out, creating art on your iPad can get pretty uncomfortable if you don’t have the right tools. In the mood for a good deal? The internet’s full of discounts today, ranging from the $170 Philips Hue and Google Home Mini kit to Amazon’s massive board game sale. As always, we’ve picked out a few favorites.